With so many exquisite engagement ring styles to be found, future brides have more choice than ever when it comes to finding a dream ring. That can sometimes lead to ring decisions that are less-than-flawless, however. Although the most important thing of all is to find a ring that you truly love, there are a few styles that are not practical. 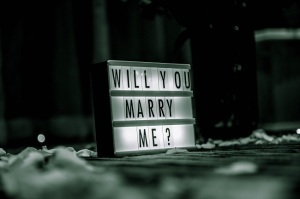 The problem with choosing an engagement ring that features a soft stone, impractical setting or a colour that you likely will not love as much by your first anniversary is that you will end up not loving your ring as much as you should. To make sure that you stay in love with your ring year in and year out, look out for these styles to avoid. As lovely as pearls are, they do not make the best stone for rings – especially not for a ring that is meant to be worn every single day. Pearls have a very low Mohs hardness rating, which makes them prone to scratches and chips. They can also lose their shine very easily. Add to that the fact that they are hard to maintain, and you have a ring that will require a lot of effort and care. Another soft stone is opal. These stones are popular. With their unusual colour, it is not surprising. For rings, they do not make good stones at all. Like pearls, they are also prone to chips, scratches and surface damage. They also lose their shine very easily, which means that you will need to either not wear it daily or take it for endless maintenance and re-shining sessions to keep it looking as good as new. Yet another terrible choice for rings is amber. Although not as popular as opal and pearl, amber has gained a following over the years. Many believe that this stone has healing properties. Although it can work in some jewellery, it is not ideal in a ring that you will wear every single day of your life. The colour of amber is also variable and when the surface is dull, the colour appears dull as well. Large, over the top rings might seem like every bride-to-be's dream. In reality, very large rings are not only tacky; they are also far more likely to get in the way. Large rings are also more likely to catch on anything and everything, making them more prone to damage. If the ring has prong settings, there is more chance of getting stuck on fabrics and even loosening the centre stone. Finally, stay clear of rings that are trendy for just a moment in time. That bright pink diamond ring may seem like a good idea now, but you may not love it as much in a year. Likewise, stay clear of Disney style rings, red or other coloured metals, strange designs that come and go with each season, and anything else that you would not feel the same way about in a few years. Looking for the perfect ring? Dreaming of a custom ring? Visit Cape Diamonds to view our full collection of engagement rings to see what we offer.